First welding project/practice was to make a holster for the welding gun. 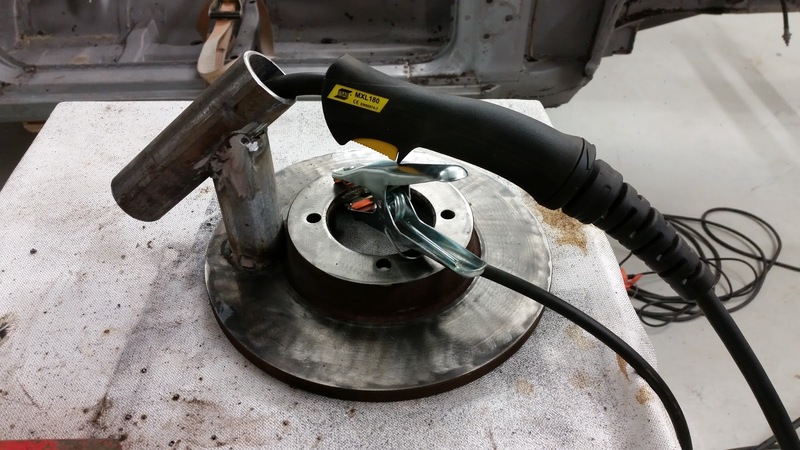 Datsun's original front brake disc was sacrificed on the Altar of Fabrication and a few scrap pieces of pipe found their new homes. Welds are bit rough, but they get the job done. Next up was to weld a start for my rotisserie. I used a pallet shelving beams, as they are rated for 3000 kg's per piece and they were readily available. Also they are reasonably rigid and don't flex under load. Scrap pieces were used for the cross members. This factoid could have been guessed from the rust on them! 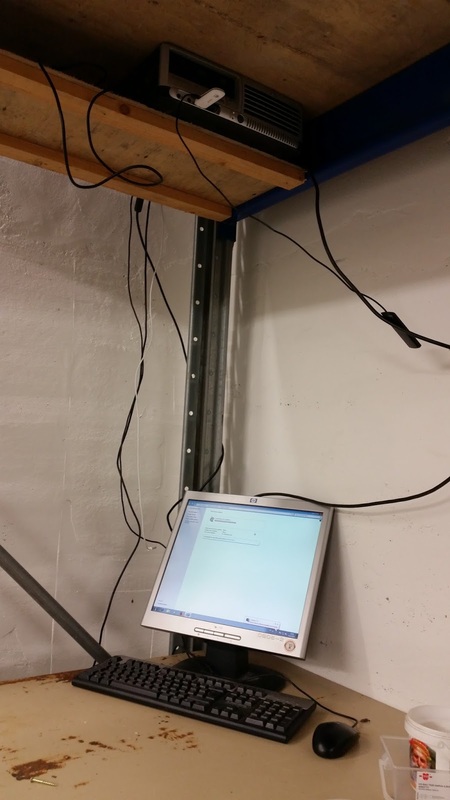 Pallet beams are spaced so that the distance of the beam centers is 130 cm. This way the seam beneath the doors and running under the cockpit of the car, is on the center of the beams and can be interacted with clamps, that fix the car on the rotisserie. I also might have to study fixing points where I can bolt the car to the frame even more rigidly. The situation where the project was left after the weekend. After checking many times, the frame of the rotisserie is true down to the millimetres. Should be adequate... I hope. Next goal for the project is to make adjustable feet for the rotisserie. These I'm going to do by taking two square profiles of steel that overlap. Weld a cap on the inner one and a nut on it, so that a threaded rod can go through the cap and the nut. The threaded rod is to be mounted in a way that it stays fixed, but can spin freely on the assembly. This way I can extend the legs as I wish by ratcheting the rod (limited by the designed max. height of course) and also level the whole contraption. I'm thinking between 50 to 100 cm for the max. height. This would mean between 4 to 8 metres of two different square profiles. 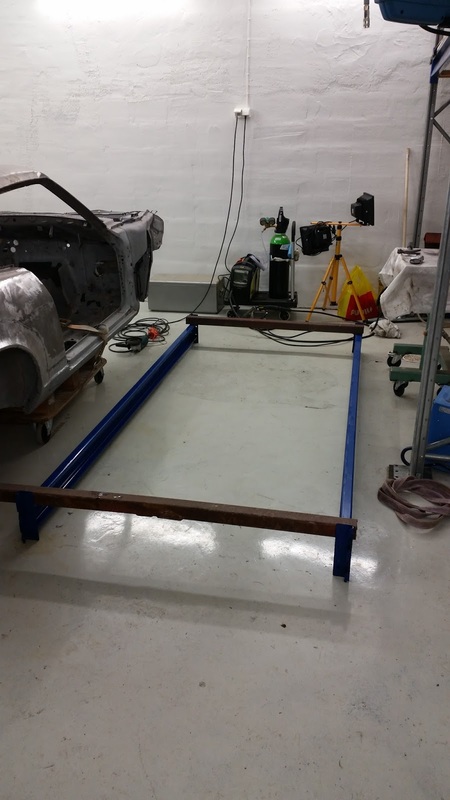 With the rotisserie, I'm aiming to keep the car square and level during the welding phase of the project. 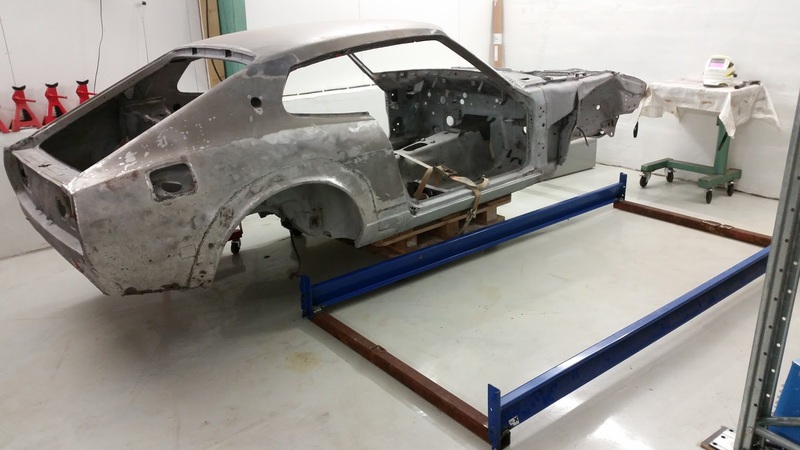 Hopefully, I even can fix the crookedness of the shell, if there is any, and make the car better than new when re-doing the frame beams and floors. Similar rotisserie is used on a project I'm watching on Youtube, called Project Binky by Bad Obsession Motorsport. Thanks go to those guys for the general idea! 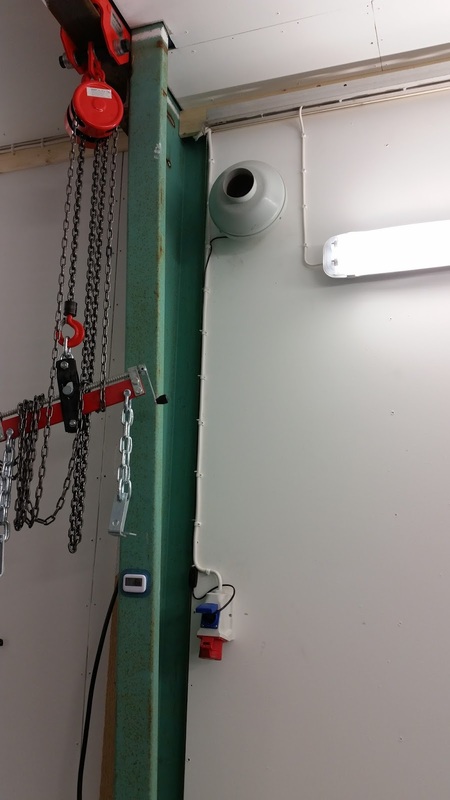 The lighting in the garage is pretty good as it now stands, but one can never have too much light! 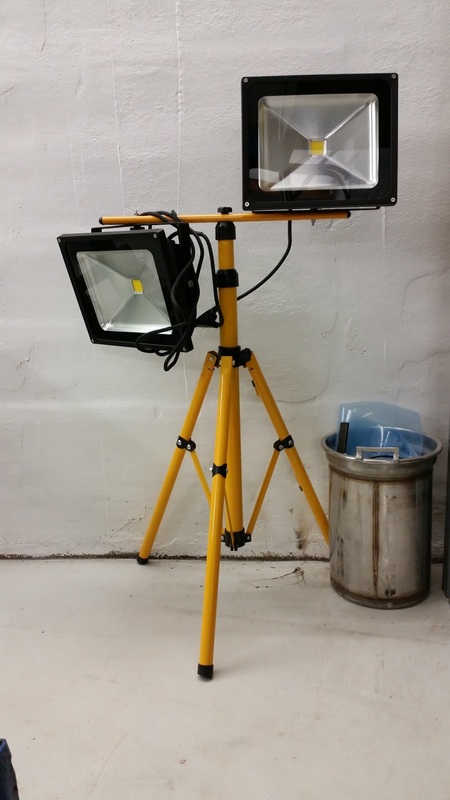 This system was on sale and features two 50 watt LED work lights and a tripod stand. The tripod is a bit flimsy, but the lights are very powerful. Don't mind the cable management; this is only the first try and cables will be and are neatly packaged. I'm sweeping the floor after every major day and organizing the tools, as this way the work is much more enjoyable and faster. The 5S-principle is mighty fine in this! Now only if I could follow it in our/my daily life also...Well, I do try! So lots of words for such a mundane tasks, but "slowly and surely" is my motto in this project!